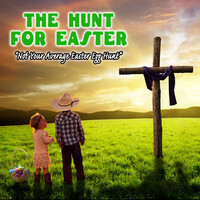 The "Hunt for Easter" is a storied twist on the Easter Egg Hunt that so many of us are familiar with. This is an event were each child will go through the Easter Story of the Bible and collect eggs with candy and story pieces along the way. This year's hunt will be on Saturday, April 20 from 10am - 12pm. A group will begin their "hunt" every 5-10 minutes with the the activity taking about 45 minutes. We will have refreshments, other activites, and a photo booth. Be sure to bring a basket to collect eggs.